Learn about our new Principal and the process that brought Dr. Julie Troletti to OCS! We hope everyone is enjoying their summer break and finding time to do fun and relaxing things with friends and family. We write to you today to bring some exciting information about the newest member of the OCS administration team. Before we provide information about this new and welcome addition, here is some background about the process that brought us to where we are today. In October of 2016, The OCS Board of Directors created an Administrative Infrastructure Task Force to evaluate our organizational structure and determine if it can sustain the mission and vision of the school, as well as, the strategic goals set forth by our Board-approved strategic plan. That task force, consisting of parent and community board members, teachers, and administration, concluded that the OCS administrative team was in need of another administrative position. Before this, our administrative structure lagged in growth as compared to our growing school needs. The Board of Directors approved the creation of an additional administrative position after the Administrative Infrastructure Task Force researched similar schools and assessed our own strengths and needs. The task force continued the work to garner input from stakeholder groups to inform the creation of two separate job descriptions for principal and executive director. The OCS Board of Directors empowered the current Principal/Executive Director to form a search committee for this new stand-alone principal position. This Search Committee consisted of all stakeholders: teachers, parents, board members, and administration. Much gratitude goes to every member for giving of their time and energy to help us with this rigorous search process- one that was created with multiple layers and included panel interviews, sample lessons, a writing sample, and professional development sessions. This process, which began in February, was designed for us to get to know the candidates well and for the candidates to get to know our school, our needs, and what makes us unique. We worked collectively for more than 700 hours, not including the administrative tasks and planning aspects of our work. The Principal Search Committee read and scored 42 resumes and cover letters (and received over 40 resumes that did not meet our requirements). We interviewed 12 candidates. Our teachers experienced professional development sessions from 7 candidates. Students from varying grade levels participated in 6 sample lessons. The Board interviewed 2 candidates​. After all this work, we are pleased and proud to introduce to you, our new principal of OCS, Dr. Julie Troletti. Julie brings with her an expertise and passion for charter schools. Julie has more than 5 years of experience in charter school leadership, including as a principal, and brings many resources to support our educational program, the students, and teachers at OCS. Please see Julie’s letter to learn more about her. We can imagine that many in our community are excited to meet Julie and to get to know her. In the coming weeks, we will be planning ways for smaller-sized gatherings to take place where Julie can get to know members of our community and for you to meet her. 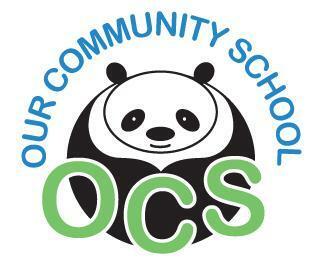 Julie will begin work right away so she can learn as much about OCS as she can prior to the new school year. Lynn will begin the work on transitioning into the role of Executive Director, which will focus on business operations, compliance, and development. As Principal, Julie will be overseeing the educational program, which includes teacher support, training, and curriculum oversight. Lynn and Julie will work collaboratively as a team throughout the year to ensure a smooth transition. I am so excited to be a part of the OCS community and would like to introduce myself. My name is Julie Troletti and I have been in public education since 2005. I have worked in both traditional district and charter schools throughout Los Angeles, mostly in the Valley. The majority of my classroom experience was spent working with the primary grades, and I have worked closely with all grade levels. The past 5 years were spent in School Administration at various Director levels, creating programs and developing staff. As an educator, working with kids and helping them achieve both personally and academically has always been my priority. With a Doctorate in Education, I have spent much of the past few years researching discipline alternatives that focus on making positive behavior changes rather than punitive ones. My educational philosophy aligns with that of OCS, and I believe in providing our students with a safe, nurturing learning environment that respects each student as an individual. On a personal note, I have two teenage boys (one is a sophomore in college and the other is a senior in high school) and a dog that keep me balanced, and try to meditate daily. Having grown up in the Valley and having raised my own children here has allowed me to establish deep roots within the community. The upcoming school year promises to be filled with opportunity and excitement. I look forward to getting to know you and your child(ren). Please come in and introduce yourself, I would love to get to know you!